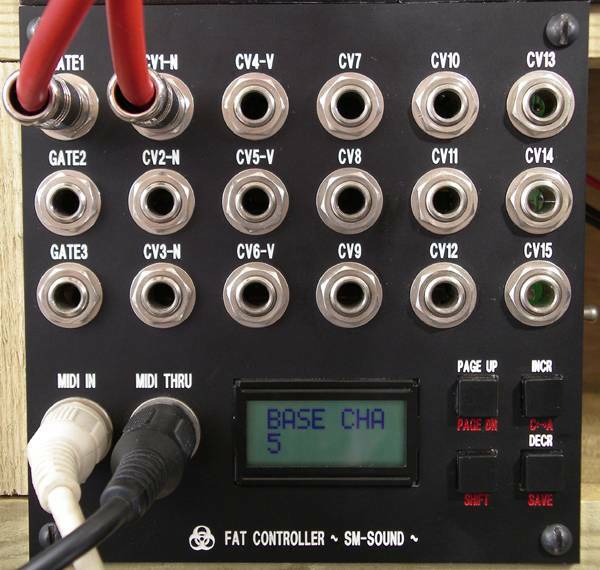 This is a MIDI to CV converter that I built for my modular system. I've also used the same basic design and PCB in my DrumBox and 3031. 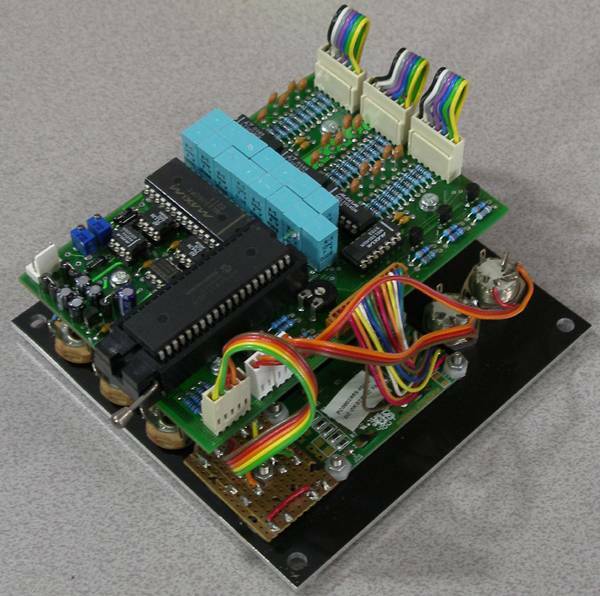 The basic idea is a PIC-based precision MIDI to CV converter with multiple outputs and lots of software features. Perhaps my favourite feature is the ability to drive each of the oscillators in a monophonic patch from different pitch CVs, each with independent portamento time, pitch bend range and octave offset. Note that this Fat Controller has no connection with the Frostwave Fat Controller Analog Sequencer. The name similarity is just coincidence. Of course the original Fat Controller comes from Thomas The Tank Engine stories, first appearing in 1945.
schematics, PCB layouts and source code on this website.